If you think you’ve never heard of Nitti Gritti, well… I guarantee you have! From his original tracks “Money” and “11:25” to his “Bodak Yellow” remix as well as an infamous “Lights” remix that every DJ on every mainstage dropped . For the past couple of years Nitti Gritti was grinding and working hard to deserve his limelight, with remarkable production skills as well as his elusive style that can’t be put under a specific genre. His versatility ranges from trap, rap, to future bass and dubstep. Nitti Gritti has rightfully earned his recognition and quickly got an enormous fan base that always supports his new tracks. From the small club shows and an Art Car at EDC LV 2018, this year Nitti made his way to Circuit Grounds at EDC LV 2019, a festival that thousands of DJs dream to play one day and millions of fans dream to attend. 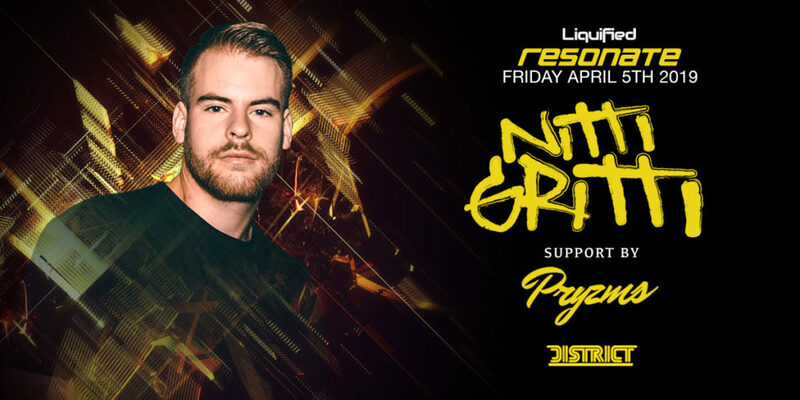 But don’t be too upset if you can’t attend EDC, District Atlanta brings Nitti Gritti on April 5th so that you can experience the massive power of his thoughtful production and fun and unexpected set. The tickets are still available on District’s website.